If you are looking for a reliable glass separation method, we offer great experience as well as new ideas for your specific glass processing applications. Our patented technologies, to be found both in our cutting tools and laser systems, ensure state-of-the-art processing and highest quality for your products. We serve various markets with patented MDI cutting tools, innovative machines, and laser systems for cutting, marking, patterning, and drilling of glass and other brittle materials. 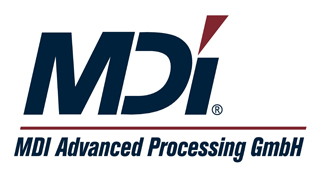 For more than 35 years MDI is successfully supplying glass cutting machines for the FPD industry and today MDI is the market leader for glass processing systems. Our product range covers all customer requirements from stand-alone machines with manual loading for small-sized substrates to fully automated systems for G10 substrates. Our technological core competences are laser cutting and cutting with special process optimized wheels (APIO®, Penett®). We offer a multitude of customized glass cutting machines for electronic components such as filters, cover or protective glasses, whereas the cutting technology (e.g. laser or wheel) is chosen in close consultation with the customer. All our systems can be automated if required. Major OLED manufacturer as well as design-orientated engineering companies and research institutes value the flexible and reliable fields of application that our technologies offer. In combination with the Penett® cutting wheel, our free-shape glass scribers of the MS-series enable the complex separation of creative glass-based OLED substrates. Furthermore, our customers take advantage of drilling technology via green laser, e.g. for design-specific customization of OLED cover glasses by means of marking and drilling. User-friendly mobile devices in the fields of telecommunication and entertainment would be unthinkable without touch panels. Especially smartphone manufacturer are convinced of the overwhelming advantages that laser cutting offers, such as precise and clean process as well as highest edge strength. The biomedical industry often have high demands regarding cleanliness, which can be covered with our laser-based separation methods. In order to increase the productivity, glasses (such as bio-slides or microarrays) have to pass the coating process first, singulation is most commonly done at the end of the process chain. In addition to the markets, in which we established ourselves over many years and earned the trust of numerous customers, we are always looking for new fields and challenges.